have you started writing your book yet? it'll come, there's no rush, it has to feel right, right? now then, can you keep a secret? no, i mean it, can you? if you can't, and you're gonna start running for facebook/twitter/insta/linked in/snapchat as soon as i tell you our secret, then i would like to politely ask you to stop reading here. so if you're still reading this i assume you are a good egg, and won't share what i am about to tell you, so thanks for that. sorry, that was a bit longer than a minute, i had to put the light on my phone to navigate to the kitchen, and then find my way back with the light making sure i didn't spill my coffee. oh yeah my secret, that i'm only gonna tell you guys, coz you are in our gang, the blog reading gang. we have a coffee shop! geez that feels good saying that. you will not believe the work that has gone into this, so to finally get it is just awesome, and i've been banging on about it for so long, you're probably as glad we got it over the line as i am. now we haven't signed the contract yet, but it's happening monday, and we should have the keys by the end of the week, so from then it will be absolutely radio rental, luckily it's the christmas run in, so there shouldn't be much going on!!! so, for blog readers that have just joined us, to explain this a bit more, about a year or so ago i went to my where actress daughter tiffany works in between acting gigs part time, at the house of st barnabas, see link below. at the club they operate an amazing model where they take on homeless people, train them in food and beverage skills on a city and guilds scheme, and then employ them, mentor them, and get them back into society, giving them hope, and a new life. amazing model i reckoned, and would make significant change. so we are going to duplicate the model, with hosb's assistance, in cardiff. open a coffee shop, make profit, and invest that profit back into people. then we build stories of success, and failure i'm sure, along the way. people identify with what we are doing, and join in our crusade, and we grow, and hopefully expand the model. so, our current stage as i type this is as follows. we have two events booked pre christmas already. oh yeah, and we have a load of nerves, well i do anyway. the plan is that we will open, start to trade, then find our first person whose life we are going to try to change for the good. then we are going to share that transformation with you, and the world really, hopefully to inspire folk to believe you can do anything you want if you truly believe, and are willing to commit. this sounds a bit like a battle cry, which i suppose it is really, but if what we are getting stuck into inspires some people to get involved, help, or even just do something small in their world, that's pretty jazzy i reckon. so the shop itself will be as sustainable as possible, and we will be aiming to become a bcorp, which i am forever banging on about, but they will benchmark us to become not only the best coffee shop in the world, but the best coffee shop for the world. we have tons of stuff we've done, and tons of stuff left to do, so i'd love you to come on the journey with us, and watch as we take this leap into the unknown, and hopefully we can make it successful before you're very eyes. we'd also like your help as well. in any way you think would work. 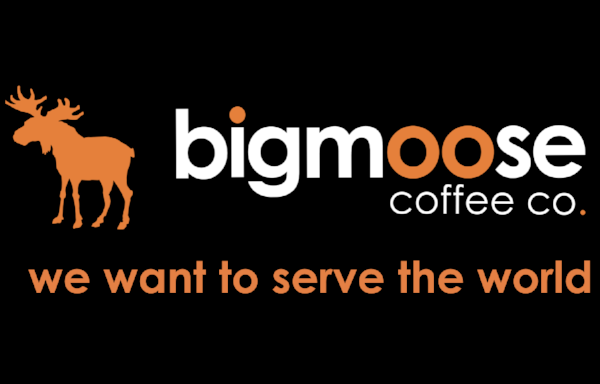 you might buy a coffee subscription for a friend for christmas, some bigmoose coffee co merch, again as crimbo prezzies. you might be local and be able to help physically with the fit out, or it might be that you come and see us when we open and support us in that way. if you are one of our bigmoose gang elsewhere in the world, just telling people about us, sharing our social media posts, etc, will also be amazing, as there is no point having the best business or model if nobody knows about it, so we are going to need as much help with marketing ourselves as possible, so a cheeky share or like here and there would be lush. we are raw at this mullarkey, and will no doubt make lots of mistakes, but by golly we will give it our best shot (see what i did there, subliminal coffee references already!) but we'd love you to link arms with us, and make it your shop as well, so if you have any ideas, however crazy or sublime please please please get in touch, this is so gonna need team work. we're probably going to do a crowdfund as well, as there still costs aplenty, so if you want to get involved there will be lots of perks, and opportunities be part of the team. so that is our secret, and we are not going to tell anybody else before we actually sign the agreement, but i'm afraid i couldn't keep it quiet any more, so please keep it to yourself for the moment, but thanks for your support up to now, as even just opening the blog weekly, in it's own way helps, as it strengthens our resolve, and shows that we're on the right path, and i hope you are proud of your involvement. i hope you like the branding and message, and you feel part of the team. thanks for reading, 2017 has been big, but 2018 has the potential to be the biggest yet.